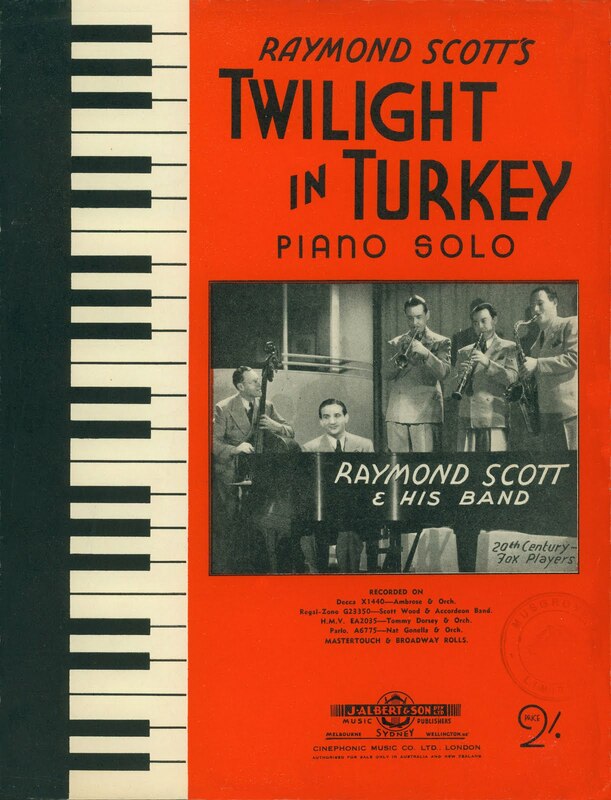 We offer a free pdf of Raymond Scott charts (which are available in pdf format for token sums). 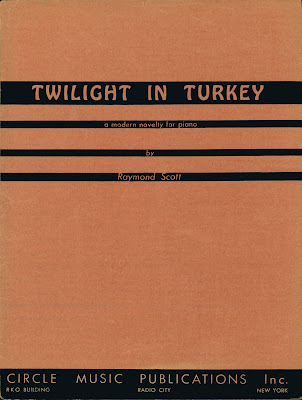 Recently, while scanning new additions to our inventory—which contains arrangements for solo piano, sextet, dance band, accordion, and some miscellaneous instruments and configurations—we discovered three identical solo piano arrangements of Scott's 1937 "Twilight in Turkey" with different covers. 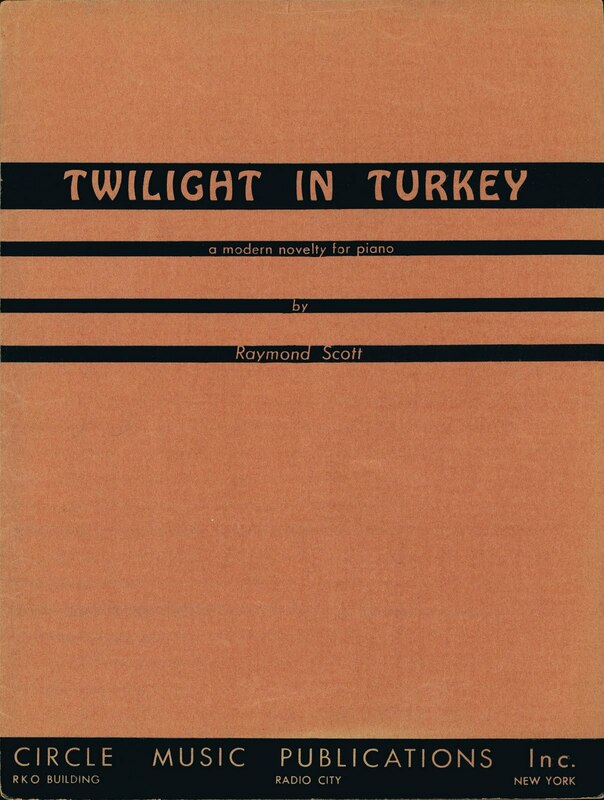 Herewith the scans (slightly restored) of published versions from (respectively) Australia, the UK, and the US: We've got most of your Scott favorites—"Powerhouse," "In an Eighteenth Century Drawing Room," "The Penguin," "War Dance for Wooden Indians," "Siberian Sleigh Ride," etc.—as well as more obscure Scott titles, such as "Dead End Blues," "Tenor Man's Headache," "Circle Themes," "Kodachrome," and "Coming Down to Earth." 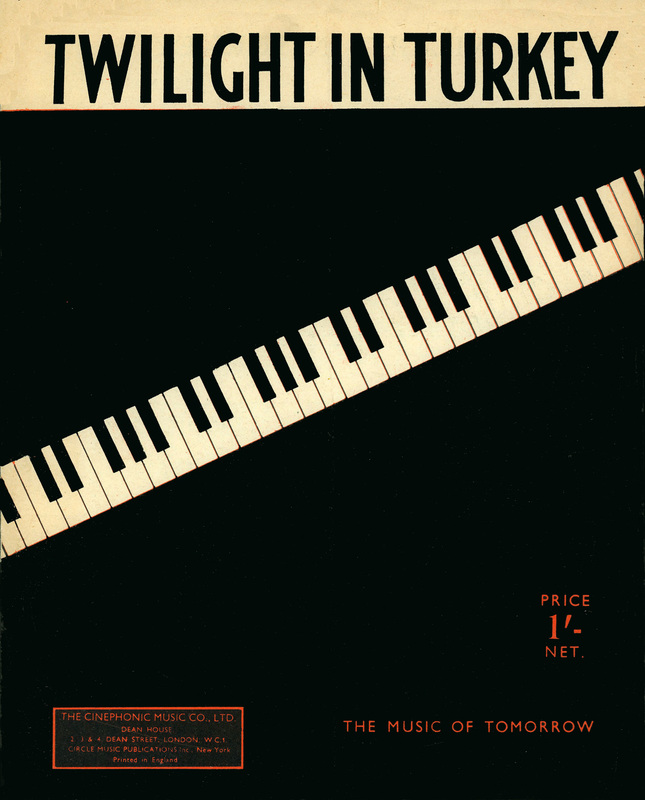 We even have a computer printout of Scott's last known composition, "Beautiful Little Butterfly," which he composed using MIDI software in 1987 shortly before a debilitating stroke. 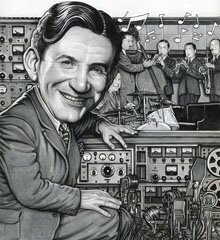 "Given his ubiquitous-yet-anonymous presence in everything from Warner Bros. cartoons to the experimental works of Jim Henson to the hip-hop instrumentals of J Dilla, the late Harry Warnow chose an appropriately nondescript pseudonym for his adventures on the cutting edge of music and technology: Raymond Scott. An enigma wrapped in a mystery wrapped in a lineage of fantastical electronic gadgets, Warnow isn’t a fascinating figure to tech heads and crate diggers alone — to this day, he continues to mystify even his own son, veteran film editor Stan Warnow. Through interviews with the likes of Mark Mothersbaugh, John Williams, and Moog synthesizer pioneer Herb Deutch — as well as his own family members — the younger Warnow pieces together a portrait of an artist neither he nor his father’s fans fully understand." 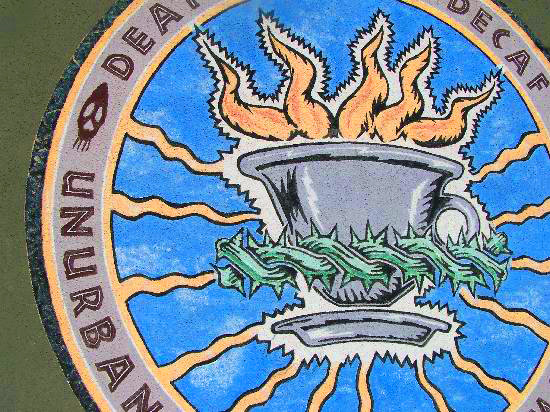 URB magazine described Unsound as "scene-shifting" and declared that the festival instantly "cemented its status as one of the most important cultural festivities in New York City." 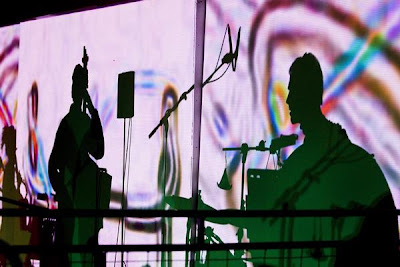 "MAD MARCH: Six new works in two weeks, with a shot of ZAPPA, PIAZZOLLA, BRYARS, and RAYMOND SCOTT to help it all go down." 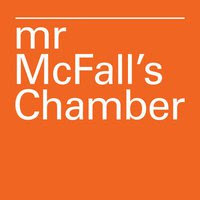 Described by The Herald as ‘the most important single development on the Scottish music scene,’ Mr McFall’s Chamber are joined in these programs by renowned clarinettist Maximiliano Martín, and jazz musicians Paul Harrison (piano) and Stuart Brown (drums). 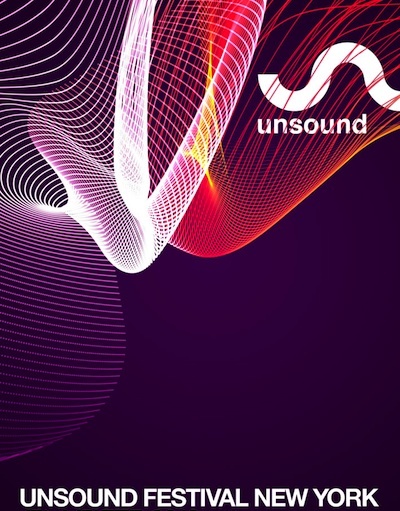 The concerts features two world premieres from two of the UK’s best-loved jazz composers Tim Garland (Chick Corea band) and Martin Kershaw (Trianglehead, Martin Kershaw Quartet), alongside numbers by ASTOR PIAZZOLLA, RAYMOND SCOTT and others. "Music and World" Documentary Film Festival is an international and multicultural event which takes place in Krakow. The main goal of our festival is to promote global and local soundscapes, support better understanding of various kinds of cultures and their traditional (and non-traditional) music through documentary films, live acts, and workshops. 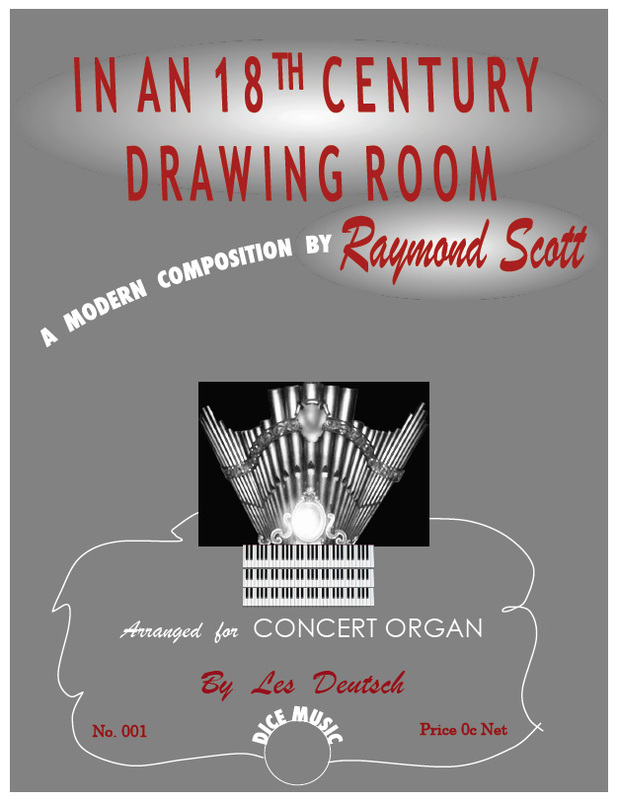 New (free) organ arrangement of Scott's "In an 18th Century Drawing Room"
I have completed a second concert organ arrangement of a Raymond Scott title—"In an 18th Century Drawing Room." 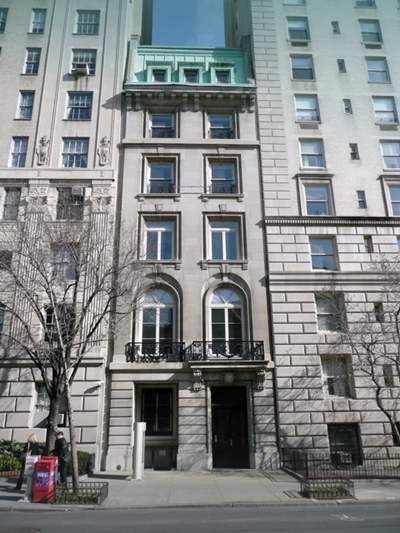 (I previously arranged "Powerhouse.") 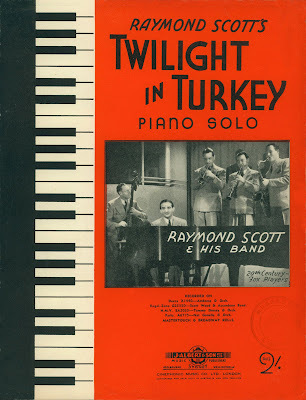 The setting is almost note-for-note accurate to the original Scott recording, including the use of an "organ harp," which is essentially a celesta keyed from the organ console. 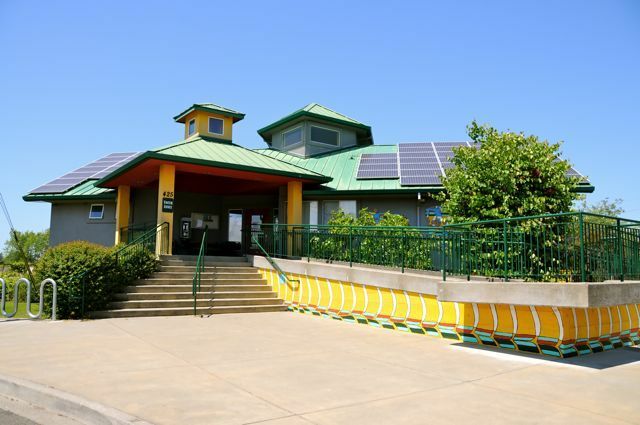 The organ in my recording is my latest virtual pipe organ design, the "Model 945." 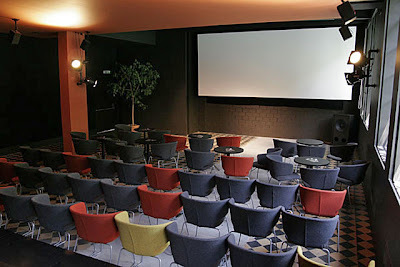 The organ is available free to those who already own the Hauptwerk virtual organ software, which is popular in many countries. The arrangement of 18CDR is also available for free to any organist with enough nerve to try it. It is not easy. 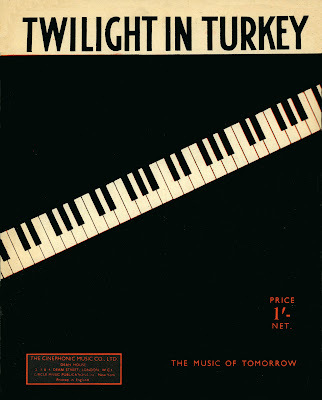 Both the recording and the sheet music can be found on my web site. 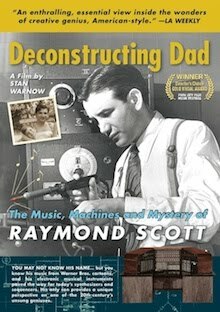 The new Raymond Scott documentary, DECONSTRUCTING DAD, will be screened on March 14th at 8pm, as part of the "Documental" Film Series at UnUrban in Santa Monica, California. 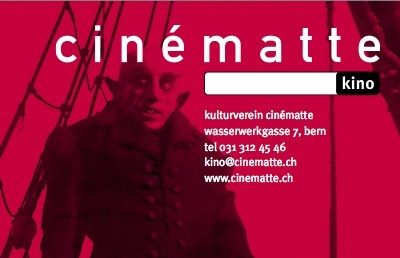 An interview with director Stan Warnow is planned for 6pm. 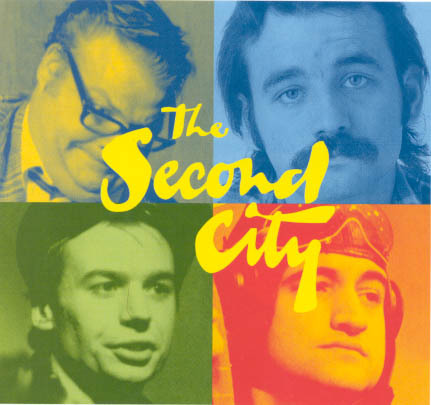 The doc will be screened again, the same week, on Saturday, March 19th at 7pm, as part of the Sebastopol Documentary Film Festival in the San Francisco Bay Area. 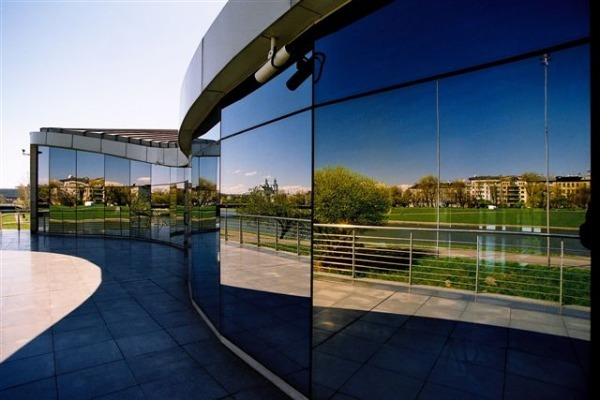 Director Stan Warnow will attend to conduct a Q&A, and sponsors include Comcast, PBS, Whole Foods, and NPR. UPDATE #1 — Award Finalists have been announced — DECONSTRUCTING DAD is one of 5 finalists (58 were considered). 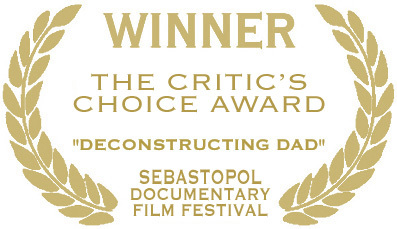 UPDATE #2 — DECONSTRUCTING DAD won "The Critic's Award" (one other was given: the "Juried Award" for GOODNIGHT NOBODY).